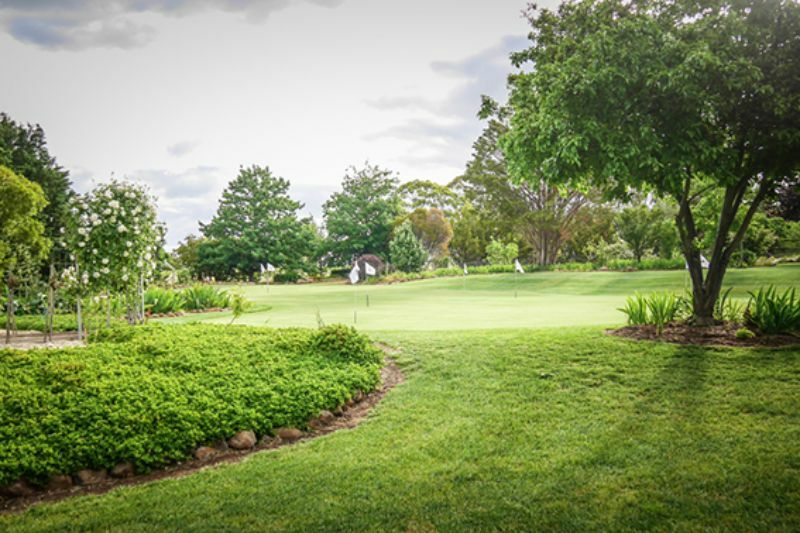 Set on a gentle slope, the house and garden at 'Rocklands' sits high above the Campaspe River, enjoying breathtaking views across an expansive lawn area, and the borrowed landscape of the river valley and the distant hills. 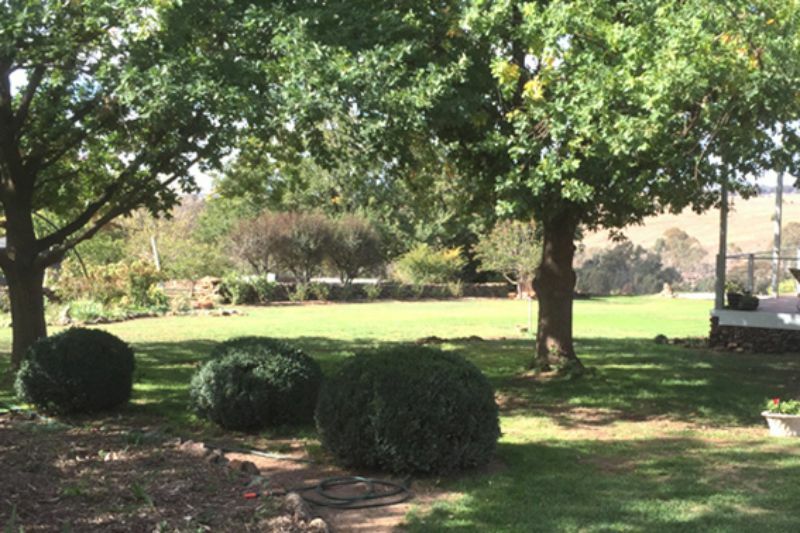 Entering through the gates, along the driveway, you pass a vineyard and productive olive trees. 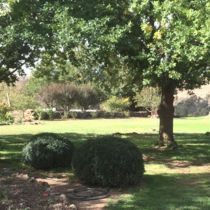 Further on, arriving at the welcoming house, there's a grove of established 30+ year old pin oak trees and more elsewhere, providing shade and shelter throughout this beautiful country garden. 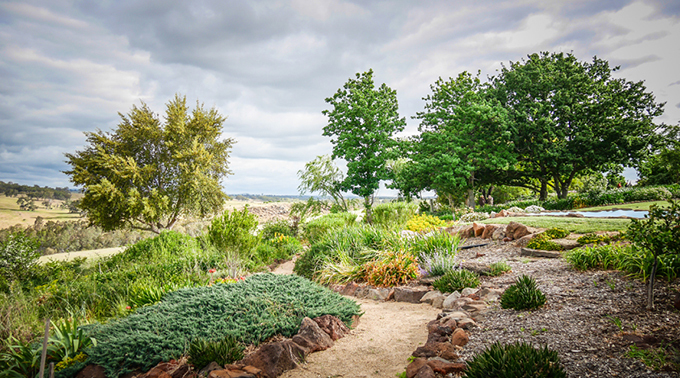 Carefully collected from the paddocks, volcanic rock has been used for low walls along meandering paths. The paths wind in and out underneath an oak 'forest' canopy, enticing the visitor to venture forward and discover what may lie around the next curve, such as a mass planting of purple agapanthas, swathes of pink and white frothy belladonna lilies, and a 1,000 sq.m. 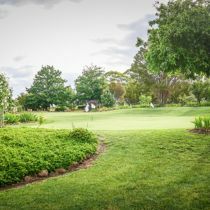 putting green! 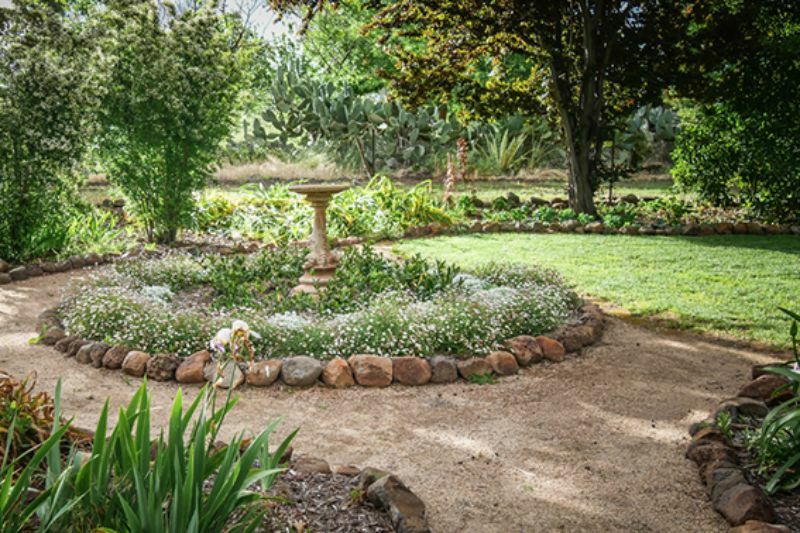 Adjoining the formal garden is an impressive vegetable garden with an integrated watering system. 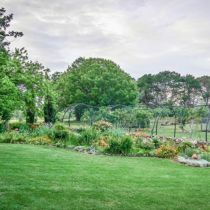 The raised beds are abundant with herbs, strawberries, tomato, cucumber, potatoes, spinach, beetroot, red onion, zucchini, sunflowers, passionfruit, etc. 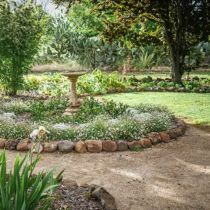 There is also a rose garden and a separate netted orchard growing almond, fig and pear varieties. 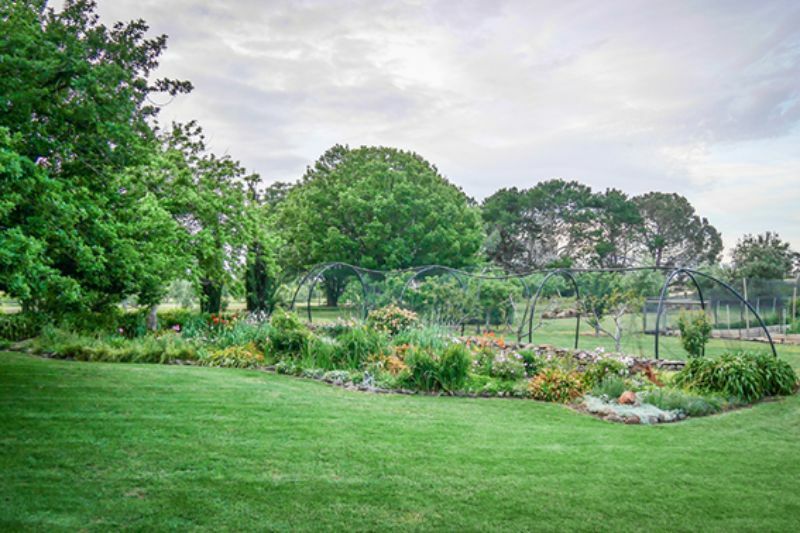 Rocklands is one of a trio of Open Gardens this weekend in Redesdale – please visit Coliban Springs and Stone Axe too if you are able.